University spinout OxSight, has reported that in a recent UK-wide trial its smart glasses helped sight impaired and blind people to navigate independently, avoid collisions and see in the dark. Participants reported that they were able to describe people standing several meters away and in some cases even recognise their faces and expressions. OxSight also announced it has successfully raised a seed funding round from Oxford angel investor Mr Zhang Jiangong. The company will use the funding to continue to develop the smart glasses. Existing partners include Google, the Royal National Institute of Blind People, the University of Oxford, the NIHR i4i scheme, the Royal Academy of Engineering and Oxford University Innovation. Both Mr Zhang and RTC Innovation, a UK-based technology transfer company have provided valuable support to OxSight over the last 3 years. The OxSight smart glasses use a unique camera system and computer vision algorithms to detect and highlight objects, separating them from the background in real-time. This allows people with even the lowest amount of sight make better use of their vision in challenging everyday scenarios. The technology was developed at Oxford’s Nuffield Department of Clinical Neuroscience by visual prosthetics researcher Dr Stephen Hicks with support from the Oxford Eye Hospital. Hicks’ team used their understanding of how the brain interprets visual information to develop algorithms that replicate our natural visual interpretation process. OxSight founder Dr Stephen Hicks from the said: “About 90 per cent of legally blind people retain some residual vision. Our aim is to allow individuals to make the most of this. When a blind person puts on the OxSight Smart Specs they should be able to locate objects and people, recognise where they are and navigate more easily. They can avoid colliding with objects, walk confidently at a normal pace and have more meaningful interactions with friends and family. This can be incredibly empowering. 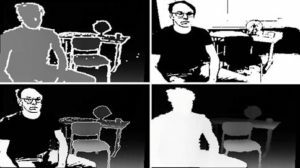 Current versions of OxSight’s smart glasses allow users to zoom in, change contrast and choose between a simple white highlight of objects and obstacles, through to enhanced edges and contrast, a cartoonised filter that can improve face detection and finally a bright and colourful image. All filters provide live video: as the user moves their head around, the images move too. The images are displayed on transparent lenses, allowing the wearer to use their vision as normal while still seeing an enhanced overlay. Other people can still see the wearer’s eyes, which helps in social situations. In 2014, the Oxford/Royal National Institute of the Blind smart glasses project won a Google Impact Challenge. 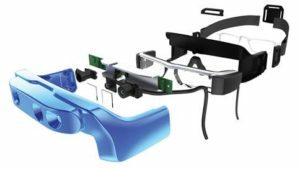 Technology commercialisation company Oxford University Innovation assisted the researchers in protecting the intellectual property and commercialising the smart glasses. The technology is protected by patents, copyright and proprietary know how. RTC Innovation, a UK-based Chinese technology transfer company also provided valuable support. · Common causes of loss of sight include Macular degeneration (AMD), diabetic retinopathy, glaucoma and retinitis pigmentosa. Zhang Jiangong will be the first chairman of OxSight Limited. Mr Zhang is a seasoned businessman with a strong track record of forming, growing and exiting from a number of businesses. He will also guide OxSight’s team though the critical initial phases and help to introduce the product into the Chinese market.